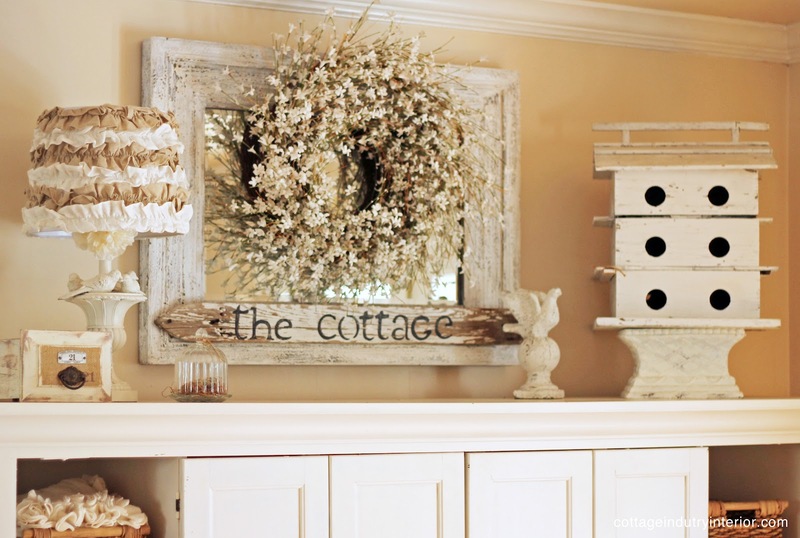 I've got some pretty cottage eye candy for you today! 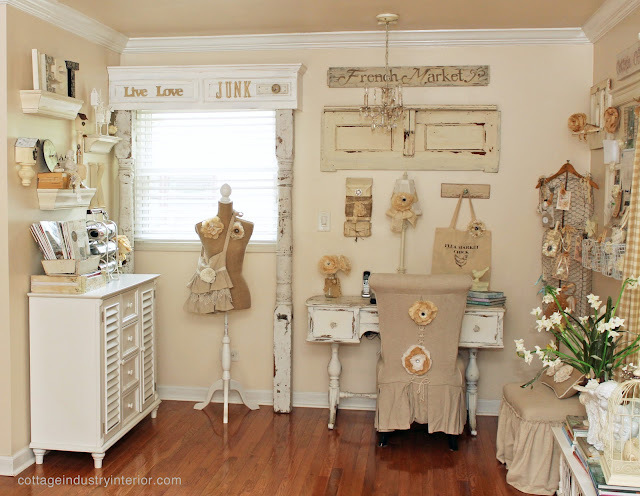 It's the lovely and creative home of my friend Kris at Junk Chic Cottage. 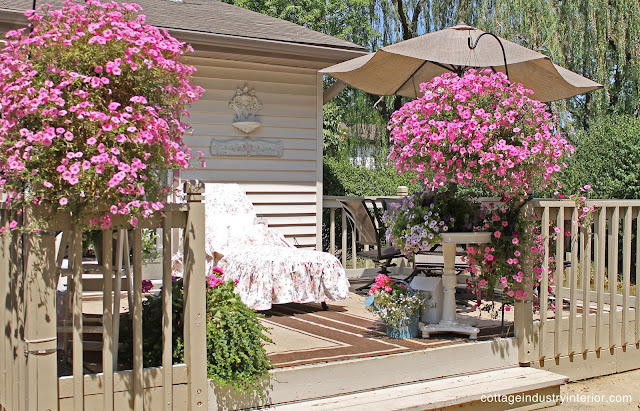 I'll just share a few pics I recently shot at her home...I don't want to give too much away, as she will be having her very own special cottage tour in the near future on a very well known blog! stop by Kris' wonderful blog for more of her beautiful home! Oh, loved this tour, Stacey! 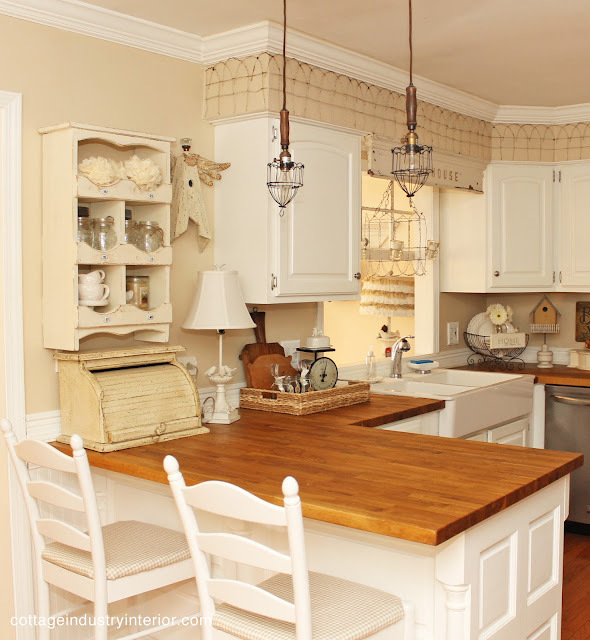 Am in love with her kitchen and dining room. That IS some serious eye candy!!! Adorable! 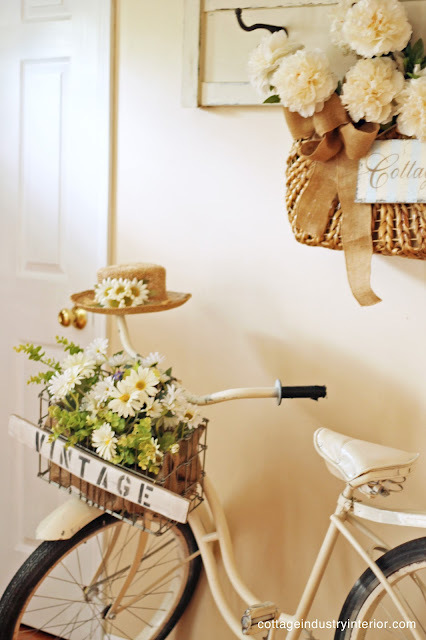 Love the vintage bike in the hallway. How cute is that! You are the best. Thanks for featuring some of the pictures of my home. I loved having you over to take pictures. You are so much fun while you are shooting away. You make my home look so beautiful. I hope we get some good news to share on your beautiful pictures soon. I miss you. Gorgeous pics in a gorgeous house. I LOVE the rusty flowerbed border re-used to fill the empty space above the cabinets in the kitchen. What a fantastic idea. What a gorgeous home!! I love these photos!! Ooooh, so pretty! 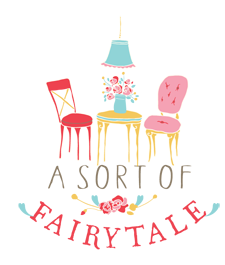 I'm off to her blog to check out the rest - thanks for sharing... I love these sneak peaks! 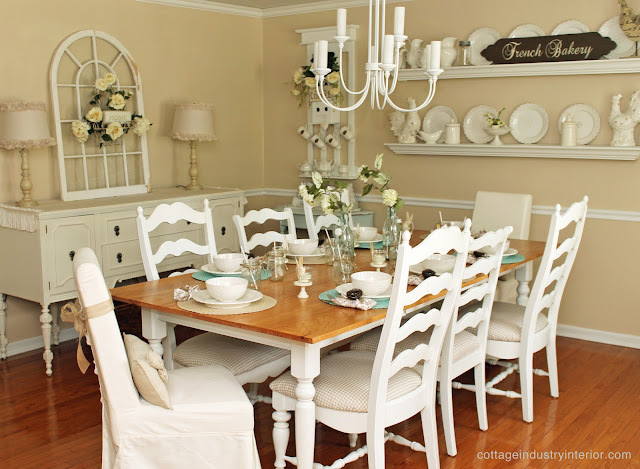 Oh, that old wire garden fence above her kitchen cabinets is genius! ohmygosh, the bike, the headboard, the fencing on the soffet!! all just amazing!! Precious as precious can be...love the sweet garden fencing along the wall edge in the kitchen. Lovely! I could sink in a sit for a spell! 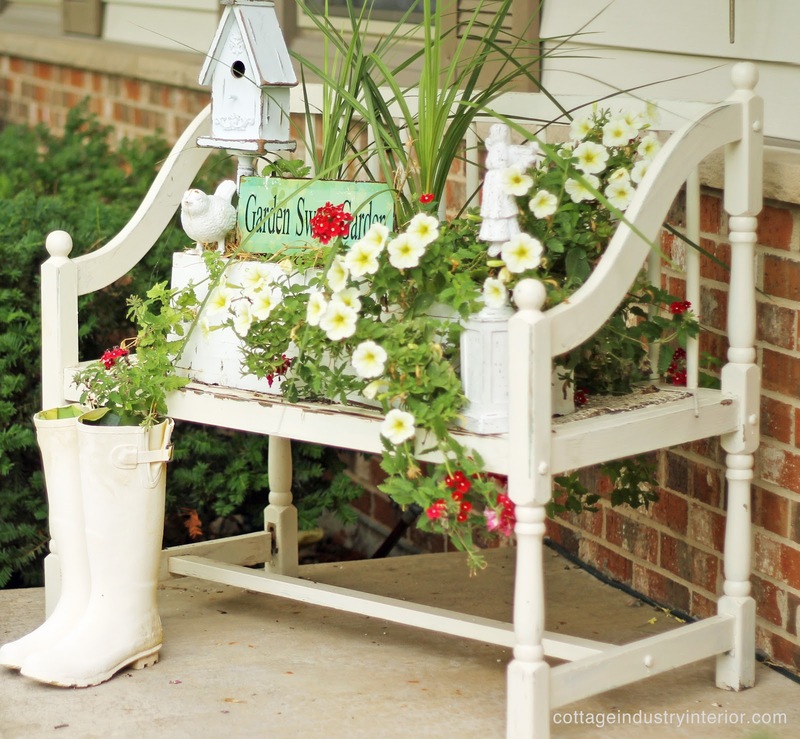 Love the bench with the boots and birdhouse. Brilliant!!!!! I adore every single photo. Very inspirational! Oh my, this home had me drooling. One of my favorites. Love the little fence above the cabinets. So many wonderfully clever ideas! So many cute ideas! 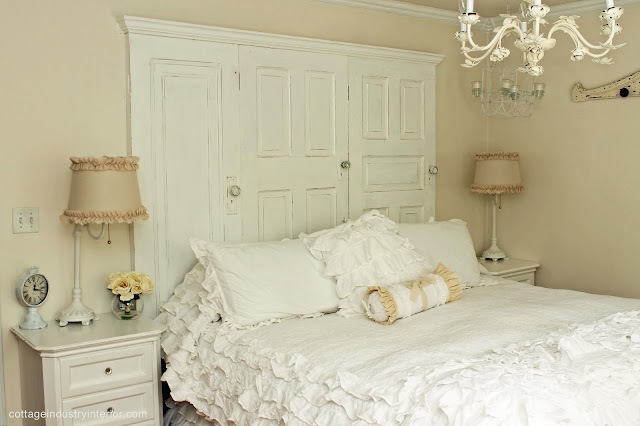 I love that headboard.....and the garden fence as an accent in the kitchen!